Are you good? Or are you eeeevil? Games like 'inFamous' let you be a bad guy … but can you stomach it? 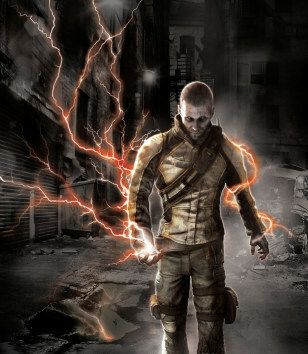 “inFamous," (pictured here) along with games like “Fallout 3,” "Mass Effect" and “City of Heroes/City of Villains” ask players to make a choice: Walk the white path of the righteous or walk the black path of the damned. And some of them explore the murky grays in between.